Marcy Campbell's first picture book is fun, touching, and energetic. Adrian Simcox Does NOT Have a Horse is the picture-book-debut of dreams. Campbell's writing is artful, vivid, and poignant, and Corinna Luyken's illustrations capture the swirling tenderness of the story. Right away, the title and premise were enough to intrigue me. But the most interesting (and my favorite) thing about Adrian Simcox is that it's a picture book told in the first person. And that person is NOT Adrian Simcox. Chloe, who is skeptical of Adrian's horse stories, is our narrator. Chloe herself is another highlight of this book. She is impatient with Adrian, and impulsive. She is a little harsher than she means to be when she feels the truth is at stake. This sort of imperfect protagonist, like Campbell's first-person narration, is unusually complex for a picture book, and even more impressive is that it works. Chloe's story teaches kids that it's okay to make mistakes, as long as you work to better understand those around you. This book would be great for reading aloud, not only because of the beautiful cadence, but because its humor manages to be both matter-of-fact and whimsical. Campbell's dialogue feels natural and rhythmic, and every character's lines practically pop off the page. The story contains a variety of emotions that would make for a lively and entertaining story time. 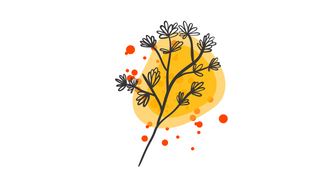 Corinna Luyken's illustrations are stunning and organic with pops of color. Her wild lines and earthy tones provide an energetic and free-feeling setting for the story. She perfectly captures the world as it looks to us when we are children, imagining, learning, reacting, and trying to understand. So basically, I love this book, and I think you will, too. We have a small supply of signed copies available at The Story Shop, so come by and grab them before they're gone!